We’ve all seen movies in which a family or person gets a well-meaning robot that is brought in to ease the burden of living. They clean, cook, and eventually freak out, trying to kill or maim the people around them. We’ve seen this happen so many times in movies and shows that the idea of having a robot butler is sort of scary. 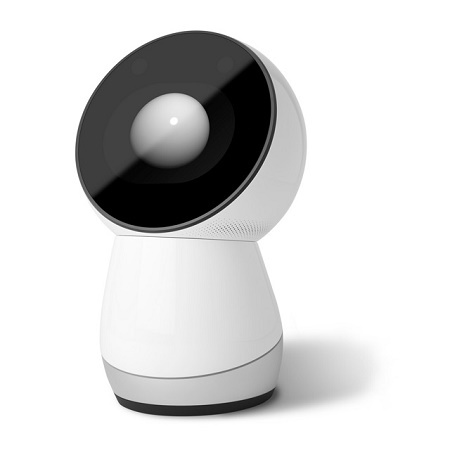 While we thankfully don’t have to worry about that sort of thing happening for at least a few more years, we can live out blissful days with a little robot friend named JIBO. He has artificial intelligence to help learn your habits and adapt to your lifestyle, but you shouldn’t have to worry about him becoming too intelligent and trying to take over your life. He has 360 degree microphones that can process natural language, can speak to you and give you polite reminders, and has two hi-res cameras to track faces, take photos, and do video calls. Should you have children, he can be a wonderful storyteller with sound effects, graphics and more. He was also programmed to be a companion, so he will try to help you feel better when you’re not doing so well. It is hinted at that he will be able to work in tandem with smart homes, but we’ll see how this crowdfunding campaign project comes out. If you’re interested in your own JIBO, you will need WIFI, and will have to part with around $500. While JIBO comes with a charging pad which he will have to stay on almost constantly, you can purchase a battery pack separately.